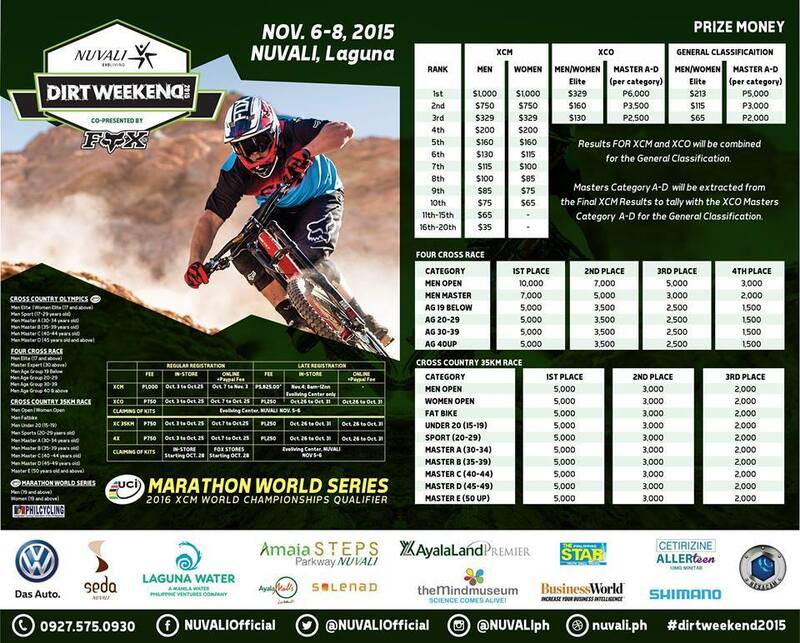 Nuvali started in 2009, it has been recognised as one of the country’s famous racing events among enthusiasts mountain bikers and professional riders. This years, Nuvali has announced that it will be staging its Philippine qualifying leg of the Union Cycliste Internationale (UCI). Dirt Weekend 2015 will feature four MTB races, each requiring a unique set of mountain biking skills, throughout a three-day period of non-stop festivities revolving around the popular cycling sport. The main event is the UCI Cross Country Marathon (XCM) World Series qualifying race which enables top finishers to move up to the 2016 Cross Country Marathon World Championship in France. The XCM course on Nuvali runs for 70 kilometers and is riddled with technical descents as well as rocky paths and obstacles, designed to mimic a mountain terrain. The UCI Cross Country Olympic (XCO) is similar to the XCM but shorter at 35 kilometers. The XCO is a “Registered Class 3” UCI race that lets elite riders earn UCI points. The Four Cross Race is a gravity or downhill event that features four riders racing at the same time through a challenging BMX-like trail of jumps, drops and obstacles, with the top finisher proceeding to the next round. 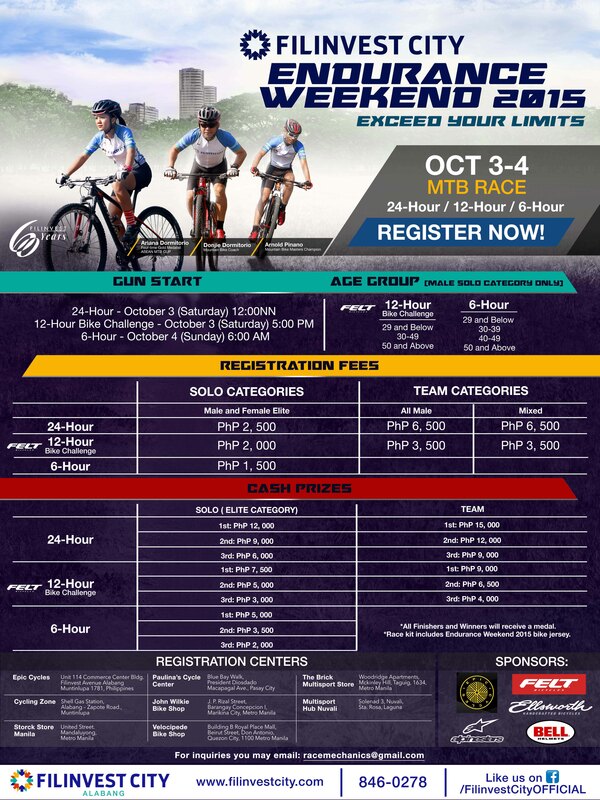 The Dirt Weekend Cross Country Race is Nuvali’s signature cycling event that draws over 1,000 riders yearly to the estate in an exhilarating dash around its 35-kilometer dirt trail.